Tonight (Monday 13th October) is the deadline to get your Panto forms back. You can find a copy here. This year’s Family Night is Saturday November 8th. All member Families are invited to come along for skittles, board games and a chance to meet other families in the Group. A cash bar will be running on the evening. Forms have been sent out on email, but you can get a copy here. Thanks to everyone who made the 1st Bagshot 2014 Family Camp such fun! As the Scout Jamboree is in Japan in 2015, the theme was Japan. Enjoy the photos of the Sumo Wrestling, Soft ball and Cranes, Monkeys and Koi on their sushi, origami, haiku and play challenges – there are a lot so enjoy! Joining instructions for Family Camp have been sent out by email, hopefully to all attendees. You can also find a copy here. If you didn’t get a copy and think you should please let us know. 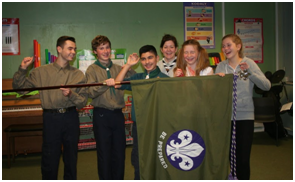 Bagshot Scout Group is a friendly, active and growing group providing high quality Scouting experiences to boys and girls in Bagshot from 6-18 years old since 1909. We currently have opportunities to join the group as an adult Section Leader or as a skills instructor. If you are interested in any of these opportunities and would like to find out more please contact Andy Woodward, cubs@bagshotscouts.org.uk or 01276 472841. Skills Instructors If you can’t commit to a regular term time Monday night, we would still like to hear from you. We are looking to build a pool of skills instructors who could help deliver adventurous activities such as Archery, Climbing wall, kayaking etc. Full training to achieve the necessary certifications would be provided in return for a commitment to deliver activities a handful of times a year. Explorer Scout Leader Help the new Explorer Section develop their own programme encouraging the young people to gain independence and confidence. Explorers meet on Monday night from 8:15 until 9:30 at Connaught School. The Explorers are aged from 14-18. The section is currently 9 strong but will see significant growth over the next 18 months. 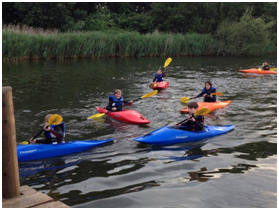 Explorers also have a number of camps and residential trips planned throughout the year. Scout Leader Support our very experienced Scout Leader to run an exciting programme for the 10-14 year olds. Scouts meet on Monday from 7:30 until 9:00 at the Parish Hall. 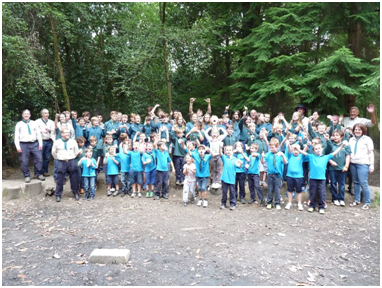 The Scout section is full and busy with several Camps planned over the next year. Beaver Leader Beavers are the youngest section, aged 6 and 7. They meet on Mondays from 5:00-6:00 at the Parish Hall. 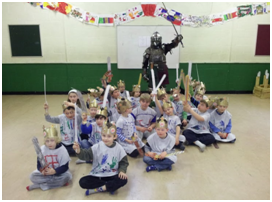 The emphasis of the Beaver programme is ‘learning through fun’ with a mixture of games, craft activities and some simple outdoor Scouting skills. The Beavers have a sleepover event once a year.